Image: Smirnoff, oxygen/Getty Images. Design: Kenzie Mastroe/SheKnows. 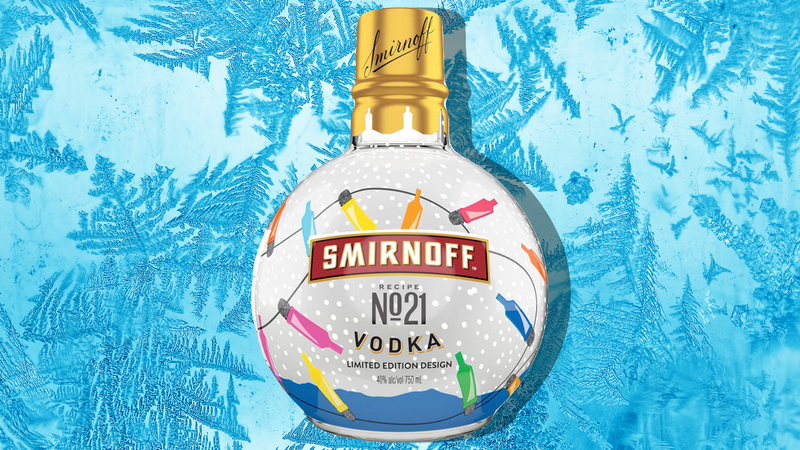 The holiday season is all about celebrating, and this year, Smirnoff is making it easier to do just that. They've released a line of limited-edition No. 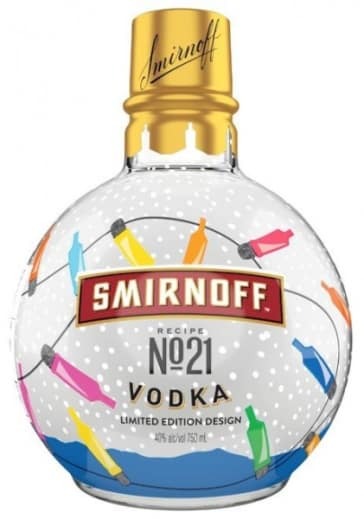 21 holiday ornament bottles full of their signature vodka that will definitely add some flair to bar carts and office parties alike. More: In the Great Debate Over Healthier Alcohol, Is Vodka Better Than Wine? Each 750-milliliter bottle will retail for $12.99. Not bad for such a festive addition to your home bar. The bottles are colorful, bedecked in designs like Christmas trees, holiday lights and falling snow. They're also emblazoned with quotations like "Mix & Mingle," "#BESTGIFTEVER" and "Don't Get Lit, Drink Responsibly." Now, sadly the bottles are a little too heavy to actually hang on your Christmas tree unless you have a 20-footer with big, strong branches (if so, do you live in a castle, and do you need a roommate?). But they are the perfect size to leave as gifts under the tree, and they'll add a boost to any big-batch holiday punch or classy, classic cocktail (like Moscow mules) you whip up while celebrating the season with your friends and family. More: How Many Carbs Are in Flavored Vodkas & Rums? The holiday ornament bottles are available now but will only be around for a limited time, so if you see them in stores, make sure you stock up on enough to last you through New Year's. And when you're finished, don't throw the bottle away — you can stuff it full of twinkly lights and use it to decorate your bar next Christmas.